Devolver Digital are known for publishing some really neat and off-the-wall games such as Dennaton Games’ Hotline Miami and Vlambeer’s upcoming Luftrausers. 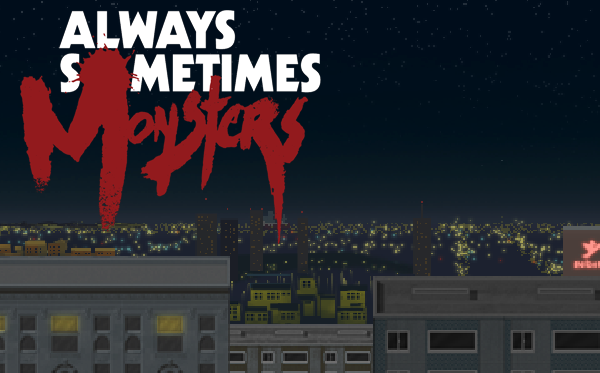 They have another title from Toronto developer Vagabond Dog with their upcoming RPG Always Sometimes Monsters. If you’re heading up to PAX Prime this weekend, you’ll be able to check the title out in the Indie Megabooth where Vagabond Dog will be. It’ll be released on PC in Spring 2014. This might be one of the most relatable games to come out in quite some time and I’m truly excited to see the finished product, as a fan of RPGs set in modern life.